Memphis BBQ Boneless Wings, 1 of 2 New Flavors on the Rally’s® Menu, have arrived as 2018 comes to a close and we’re going in to see if it delivers! Find out all you need to know about them right here in this detailed review! 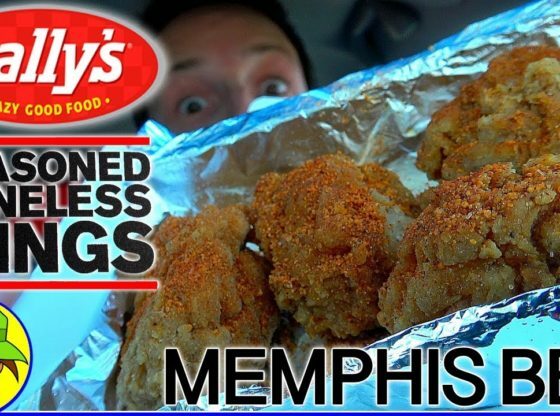 Ian K swings by his local Rally’s® to give the New Memphis BBQ Boneless Wings a shot! How awesome were the New Memphis BBQ Boneless Wings from Rally’s®?! Only one way to find out, guys! Peep THIS Out! Authentic, Meaty Boneless Wings tossed in Southern Dry Rub Seasoning with Serious Flavor. Peep THIS Out! T-Shirts & Stuff! Copyright © 2010-2015 IntroChamp – Customizable video intros. All rights reserved. Purchased and authorized for commercial & non-commercial use. © 2018 ‘Lil Ike Productions. All rights reserved. Cruise ‘N Reviews® & ‘Lil Ike is a trademark of Ian K and ‘Lil Ike Productions. Purchased and authorized for commercial & non-commercial use. Forums, Classifieds, Articles and Videos for Casita Travel Trailer Owners and Prospective Owners.